FAVC is a video to DVD authoring tool. You can feed it various video formats (asf, avi, avs, mkv, mov, mp4, ogm, vdr and wmv) and it will convert them to a DVD folder or image, ready for burning. It gives you the option to use QuEnc or HC as the MPEG-2 encoder, and will even create a simple menu for you that you can customize. FAVC is fairly straight forward and easy to use. While it helps to know a bit about DVD authoring and video conversion, you don't need to much knowledge to follow this guide. If you want alternatives to FAVC, please read our DVD Authoring Tools Roundup to find out which DVD authoring tool is best for your needs. Before you load your inputs into FAVC, it is best to make sure that these input files are all of the same system (PAL or NTSC). As a rule, files that are 23.976, 24, 29.97 or 30 frame per second are NTSC. While PAL video is at 25 FPS. Multiples of these frame rates (eg. 15 FPS and 60 FPS => NTSC) are sometime used as well. There are many ways to check for the frame rate of your video file, for example, using GSpot for AVI files. I prefer to organise my videos before even starting FAVC, so I will know beforehand what kind of DVD I am making. 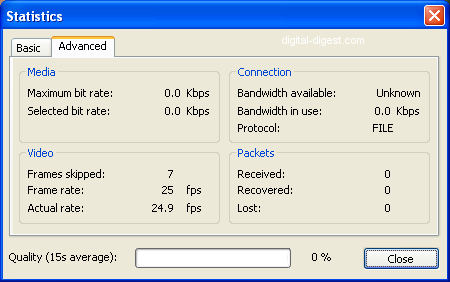 Normally, your video player software will also show you the frame rate of the file. 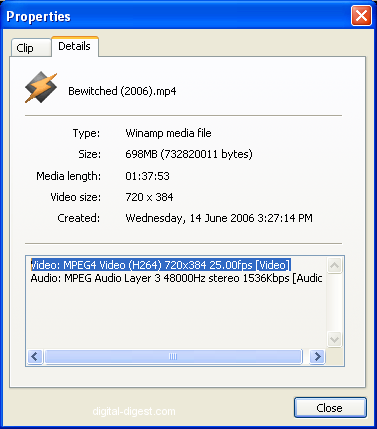 For example, in Windows Media Player, you can find out the frame rate of the video by accessing the "Statistics" options from the "View" menu, go to the "Advanced" tab and the "frame rate" will be displayed there. Once you have found out the frame rates of your video files, separate the NTSC and PAL ones, as you do not want to mix them together when making a single DVD. You should probably also separate the widescreen and full-frame videos. So each DVD you make should only contain widescreen PAL, widescreen NTSC, full-frame PAL or full-frame NTSC content. It's also probably a good idea now to check your input video to see if they have any audio synch issues, and fix them before loading them into FAVC. Before you install FAVC, make sure you have both AviSynth 2.56a or later installed and also the .NET framework version 2. Download FAVC. FAVC currently doesn't have (or need) a proper installer, just run the executable and it will ask you where you want to extract the FAVC files (I chose "C:\Program Files\FAVC\"). To run FAVC, simply go to the folder where you extracted FAVC. You should see a bunch of folders and a single executable file named "FAVC", just run that to start FAVC.